The 'Canterbury Redbax' are based in Christchurch, New Zealand. The team name is phonetically derived from the word 'Redbacks' from which genus the native Katipo spider is a member. ​Canterbury is one of the last remaining strongholds of the species. 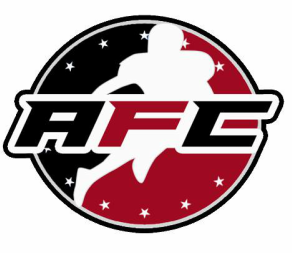 American Football Canterbury is dedicated to educating players in the fundamental skills of our sport in order to provide an experience that is enjoyable, entertaining, safe and played correctly. This has lead to the decision in our tackle program to train as one program under the Canterbury Redbax banner. Playing organized scrimmages in place of competition games. Already this has seen superior development of the skills and philosophies required to play this game at a high level. Our tackle program is open to anyone who wishes to become involved. However, at this current stage junior and female players would be required to "Red Shirt". This would mean that they would not participate in scrimmages or some parts of training until their numbers grow to a size that would allow for them to conduct the drills/scrimmages in their respective groups. American football is a sport like no other in the world, it is a combat sport based around collisions, athleticism and chess like strategy. For a rugby mad nation like New Zealand it is a difficult sport to master both in the playing and watching of. It is hard to fathom that the players in the NFL are such supreme athletes boasting players the size of an All Black lock forward that can out run anybody on the national roster. American Football is the pinnacle of athletic development and the players that reach the NFL have usually lived and breathed the sport day in and day out since they were 12 years old. How does this fit into how we play the game in New Zealand then? Well, we are far from what they have there but are well on our way to developing a sport that is both enjoyable, learn-able and a great visual spectacle. 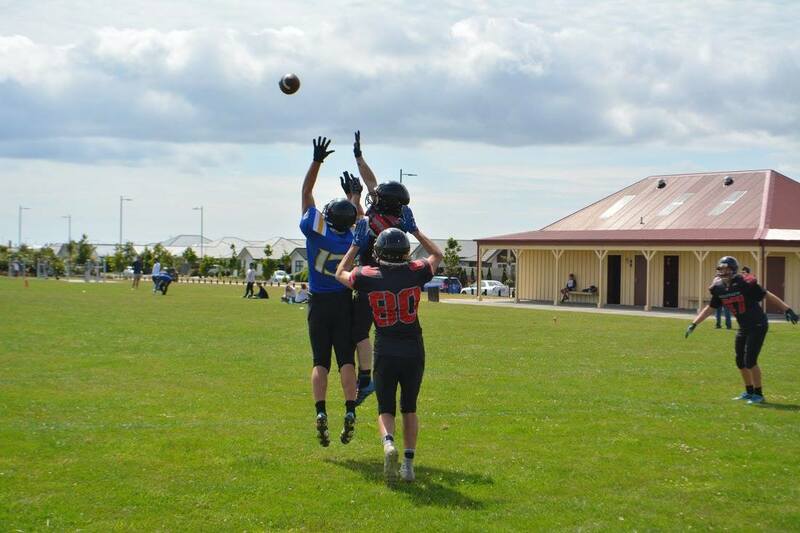 The version of the game that is played in Christchurch, is a variation of the 11 aside version of the game seen played in the NFL and on PlayStation games such as Madden. It is a game that has been specifically modified for New Zealander's to both play and watch. The game is played on a slightly smaller field with 5 players on each side and is similar to 20twenty cricket as restrictions have been added on the defensive side of the ball to give the offense a distinct advantage. This means that visually it is a game with big plays on both sides of the ball, is faster moving than regular football and has high scores. It is played over the same length of time as a rugby match and will have more big plays. It also offers and extenuates something that no other football codes do in this country, the forward pass. The other facet of this form of the game is development; it exposes player and coaches to all the tenants of American football and has a large focus on the cerebral nature of the game introducing players to such jargon as blitz's, hot read and hot routes, sight adjusts, weak and strong side, gap control and contain. Not only does it teach these words but the concepts behind them which are necessary to play the game at any level with any proficiency. When compared to the 11 man game, this 5 aside format offers increased learnability in terms of cerebral function while not taking anything away from the enjoyment or playing of the game. 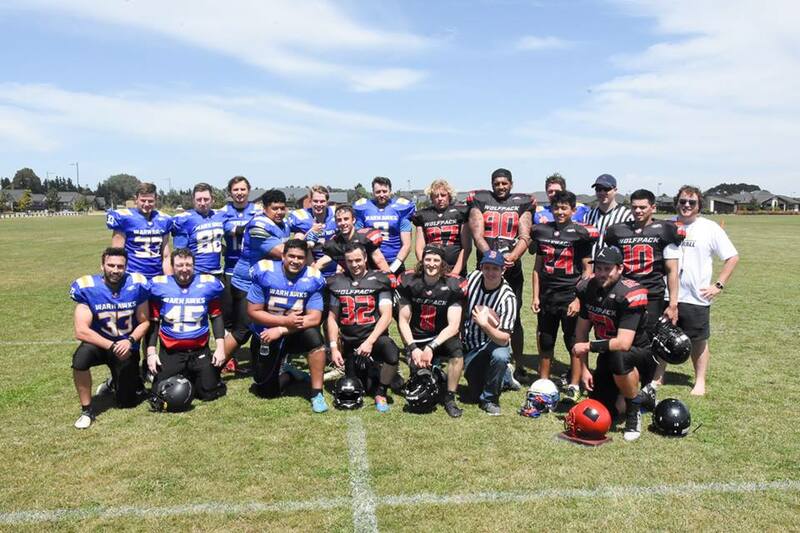 American Football Canterbury operates under one umbrella. Making sure each player and team has the functionality and skills to succeed in competition based play. Our Senior program trains together as one unit. Learning, adapting and trailing skills in all areas of football - taking the fundamentals from similar playbooks and structured plays. Players are divided into 3 Teams; Rebels, Warhawks & Wolfpack. The teams compete in a round robin tournament, showcasing their skills and talents learned throughout the program. From this each player is able to be selected and compete for a spot in the Canterbury Redbax All-Team. Why 5-Man and 7-Man Football? 5-Man-Football and the likes of 6-7-Man has been played in Canada and the USA for over 50 Years. The smaller game has been highly successful in some of the world’s biggest Football places such as Texas and Saskatchewan with over 3000 Teams currently playing the shortened version of the game. The Center: He is the guy who snaps the ball and blocks defenders. He is not allowed to catch or run the ball. He is there to protect his mates and shift the opposition. The Quarterback: He is the captain of the offense. This is the guy who receives the snap and then hands it off to the running back or passes it down field to a receiver. In this league the quarterback cannot run the ball himself and he must remain between the hashes if he chooses to pass the ball. The Running Back: The primary ball runner on the field, his duties also include receiving the ball and blocking depending on the play. The Wide Receivers: The ball catchers, these are the guys that make the big catches down the field and help move the ball a long way at a time. The Defensive Lineman: This player lines up with 1 hand on the ground 1 yard back from the center and his usual responsibility is to try and put pressure on the quarterback or tackle the running back. It is usually agreed that these are some of the scariest men on the planet. The Linebacker: The leader of the defense. This man lives to tackle running backs, which is good because that is their job. If the offense passes then he will usually drop back into coverage but will sometimes also rush the passer and try and get a sack. The Corner Back: Charged with marking the Wide Receivers, these nippy and agile players are most important in protecting against the pass. 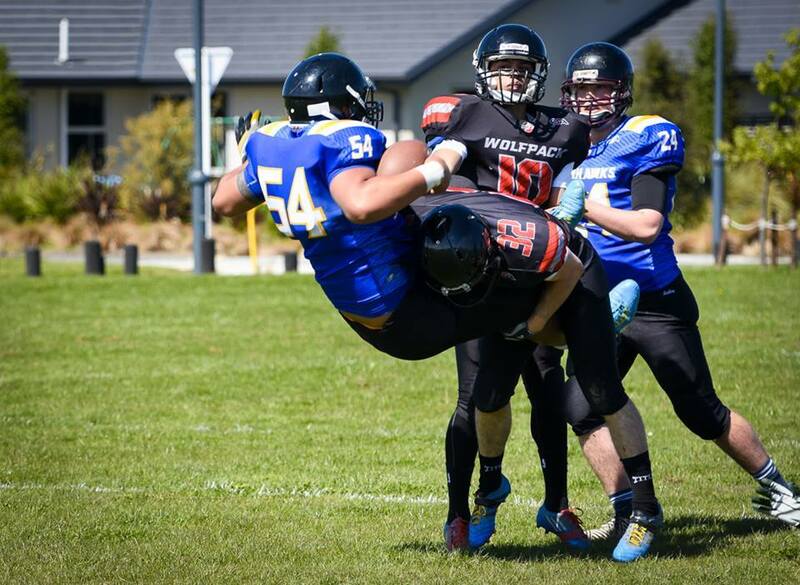 The Safety: Equally as happy flying forward to stop the run or dropping back to stop the pass the safety is the supreme athlete on the football field. This position is close to a fullback in rugby as they are the last line of defense.